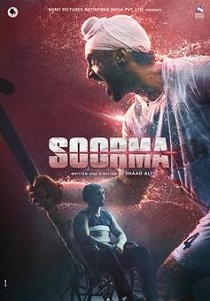 Review Summary: Diljit Dosanjh is inspiring in 'Soorma'. A great story that needed to be told. Diljit Dosanjh Shines But It's The Narration To Be Blamed! This is a film that has its heart in the right place, with a story that deserves to be told. Diljit Dosanjh Flicks Right Through Your Heart, Shaad Ali Breaks It!